Light beam is visible up to 1 mile away. 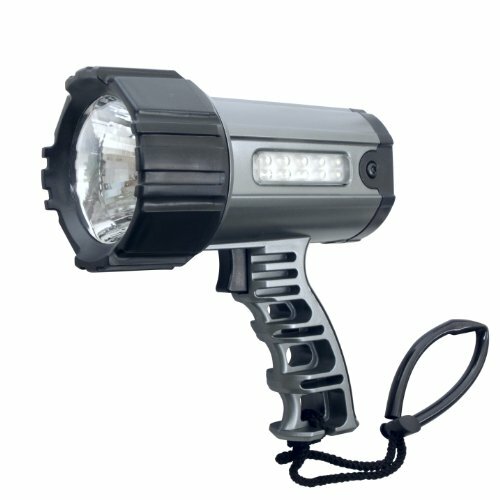 Features a high clarity, high focus lens and 10 LED 18,000 MCD brightness side lantern. Offers 4 Volt 2Ah sealed lead-acid battery and rubberized shock-absorbing lens guard. 20,000 hour lifetime for the 3W bulb. DC and AC adapters included.